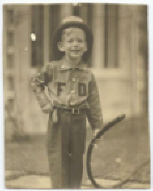 Restoring Your Photographs to their original quality or better, preserving your Family Memories! Image editing and restorations are done on site by experienced image specialists using computer technology and equipment. We can create a number of different products from your images, including photographic quality prints, slides, and scans. We are sure that you will be pleased with the results we are able to achieve. Some of the image editing that can be done includes removing or adding objects or persons, removing spots, marks and scratches, sharpening or using special effects on photographs to enhance the image, creating calendars and special effect images, colorization, and/or replacing torn or missing parts of a photograph. Please stop in our storefront or give us a call during normal business hours and we will be happy to assist you with your family memories. You are also welcome to email us with inquiries. 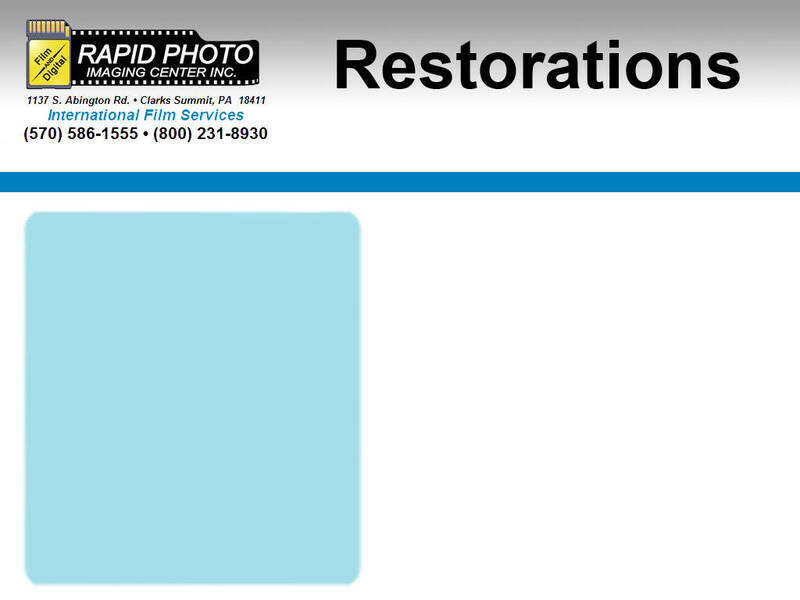 Below are some examples of our restorations. Roll over the image with your mouse to see the finished product. Cost of order is restoration + product.